As some of you might have heard we're having major changes in my home country, Egypt. 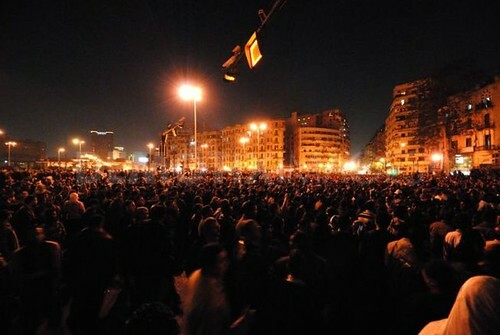 A revolution on January 25th 2011 ended only a few days ago. Everything is BEAUTIFUL. Hard times brings the best inside each one of us. I'm too excited so here are some pics! People were loving the Army... They got on the tanks and posed for photos!!!! Although I was not agreeing with the revolution to happen this way without planning, only guided by emotions. It resulted alot of gains for Egypt. People on both sides realise this. Protesters cleaned the place where they camped and painted the sidewalks and washed the statues. Everybody's volunteering in different charity projects. Egyptians are really different these days, much more cheerful in the streets. I think it's hope. Sorry for writting too much. I'm writting to tell you that, and although I was not very active lately, but in the only day that I -personally- were in real danger, I got more than one message from PSC members and we were out of internet for almost a week in Egypt. I now believe that this positive energy I got from you guys must've helped me get through that day. I'm writting this to thank not only all of those who messaged/thought about me or about Egypt during the hard times, but also all of you PSCers for being such an AWESOME community, from which I got some good friends who might have saved my life for real the other day. Thanks for sharing this Heba.We've been following events in Egypt very closely here in Spain.I just hope the dark hand in the shadows (I think you know what I'm talking about)doesn't take advantage of this transitory power vaccuum to manipulate a great opportunity for real freedom and try to install a worse regime than before.The threat could come from either side...Islamic fanatics or the globalized military industrial complex as in other areas of the middle east.Fortunatelly you don't have oil (ie. Iraq) or poppies (ie. Afghanistan)to fight for control over.I think a lot will depend on what happens in the neighbouring coutries(ie.Jordan,Syria,Tunisia,Algeria,Morrocco etc. )and how they deal with this trend towards democracy.Remember the common people (el pueblo as we say here in Spain) hold the key and united they stand,divided they fall.Peace to you and your great country. Thank you for sharing the photos. 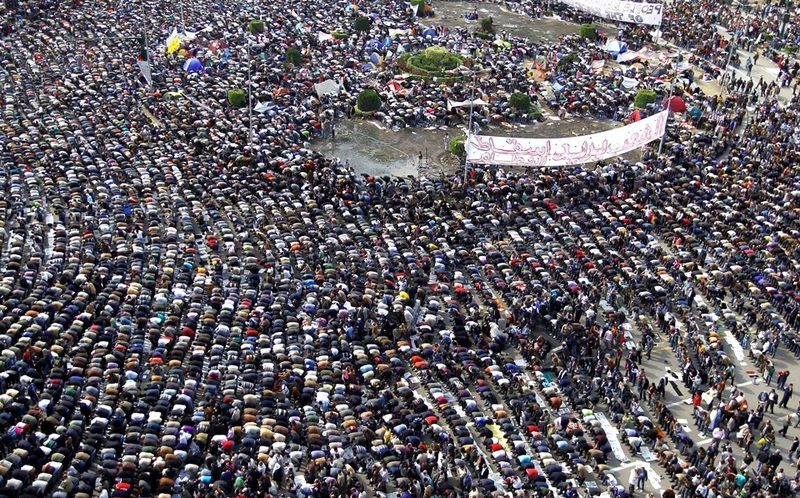 I had seen the mass prayers in Egypt on television and was surprised to see the perfect order there was then. 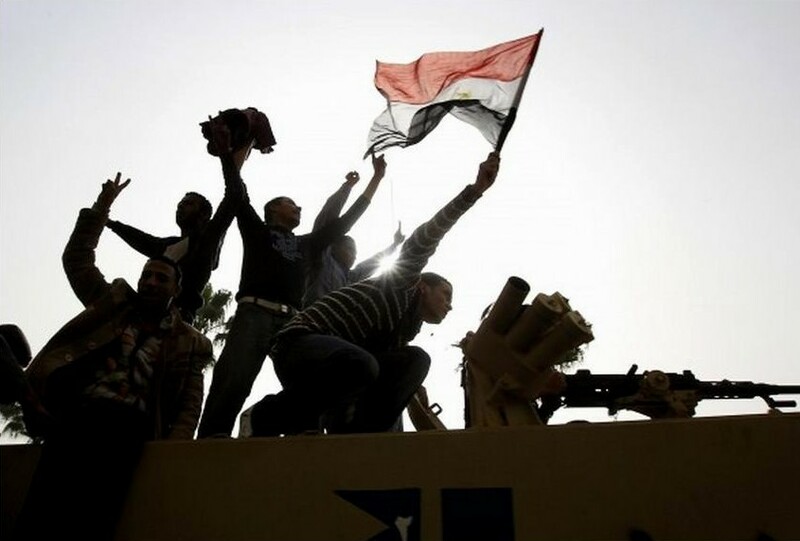 There are not enough words to praize the Egyptian People for the way they held to their belief that peaceful demonstration was the way forward. It was breathtaking to see those thousands and sometimes millions of people together, shouting and sometimes being afraid too, but in no way willing to fight. That one day, where the group of horsemen turned on the people, to try and start a fight, with the stone throwing back and forth, that was over soon. And I think it was this moment in the demonstration that gave the majority of the Egyptian people the insurance that they could and should go out there and voice their opinion. Because they knew they were safe to do so. The only thing I am still to this day wondering about is - where are the demonstrating people who got arrested in the day after that stone throwing day. The television spoke of people on the square in Cairo who got picked up by the police (must have been secret police). The feeling I got at the time was that this was a pittyful attempt by the Murbarak people to get the public in the square to rally together to start a fight in anger.... But they never did, there was no reason for it. I never heard anything about these people being set free again. I hope they will. Some say the only reason why things never got out of hand in Tahrin Square was the fact that it was a PEOPLES DEMONSTRATION. Not a demonstration lead by groups, organizations. Nobody was pushing the people to do something. I will tell you this. Watching the demonstrations day after day on television, I learned something. I learned to listen to the voice of the crowd. Even when I could not understand what the chanting was about, I could hear the tone of the voices. The first days the tone was - we are adement to have our changes, and we tell you this. During the stone throwing there was anger and fear. But it was not massive. The day the crowd was waiting all those hours to hear Murbarak speak (what they hoped to be his resign speach) they were all joyfull and happy. The evening after the speach they were determent and upset, voicing their demand for change. The next day the people were back, waiting for another speach. And after that, there was joy. Listening to thousands, millions even, people voicing their thoughts like that, has tought me there is no need to be afraid - when large groups of people get together. There are ways to read them, like a book. And when you know what page people are on, you can choose, join in or step away from it. When I was looking at the images on the television screen, I was actually wondering, all those tourists that were told to leave Egypt when the demonstrations started, would they not have had the time of their life, to have been there. Amidst all this change? I hope they come back soon. To show the people of Egypt that they are with them. 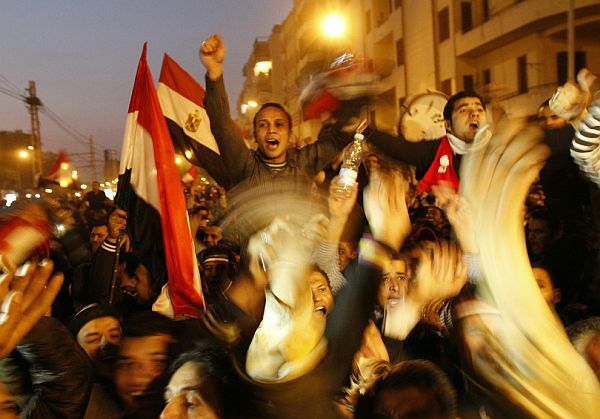 The Egyptian people proved many things to the world through this time of unrest. People can bring about change. Egypt is a land of civilized people. God bless you folks, wishing you all the best for peace and stability and justice. Awesome photos! Very glad that things resolved peacefully. I too am glad that it went through relatively peaceful, and I hope it continues that way and a new government is allowed to be voted in, instead of one being forced into place. Best wishes to all of you, good luck! 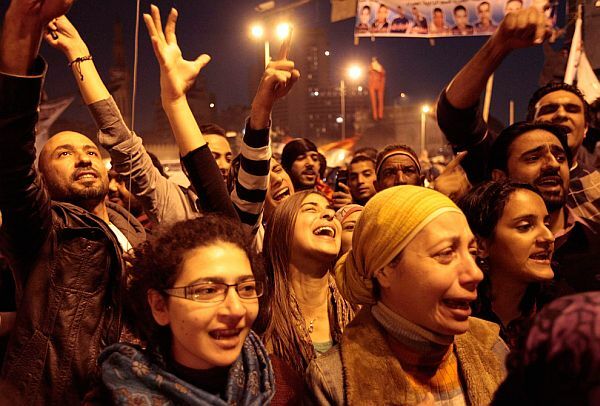 I really hope this revolution brings Egypt what it wishes for. It will take time! Just wondering.... How are things today?